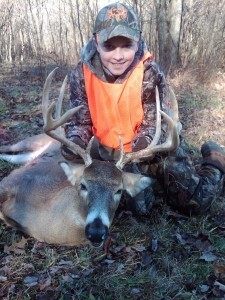 Collin Hohman was born in the outdoors. He has been hunting and fishing his whole life. 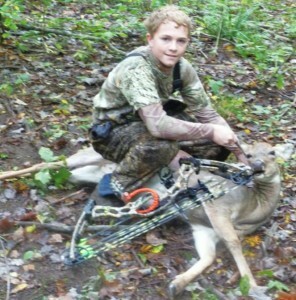 He got into bow hunting 3 years ago and here is his first deer with a bow. He shot her at 31 yards with his Hoyt bow it was recorded and is currently on YouTube.